Jekyll Island is an island on the Georgia coast that has been designated a State Park and run by the Jekyll Island Authority. 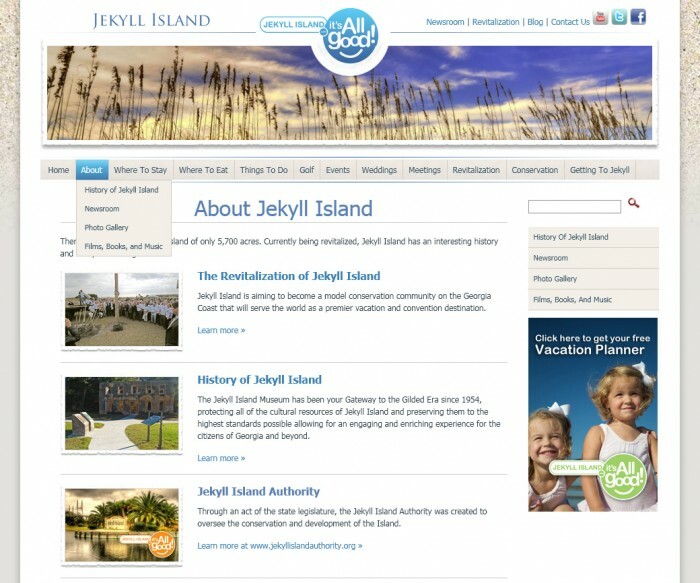 nuSpace Media initially started working with the Jekyll Island Authority to make maintenance updates to the Jekyll Island website. Eventually a website re-design was desired and nuSpace Media worked to create a new design which would be wrapped around the existing Dot Net Nuke content management system. 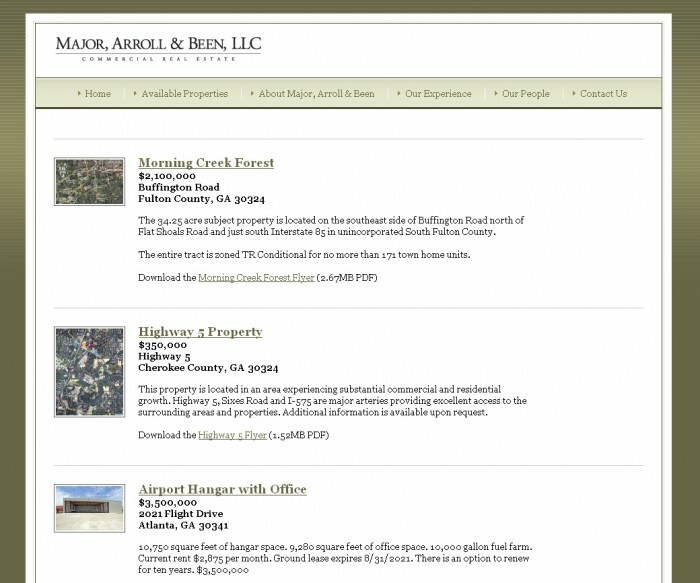 Major, Arroll & Been is an Atlanta-based real estate company specializing in commercial and land property deals. 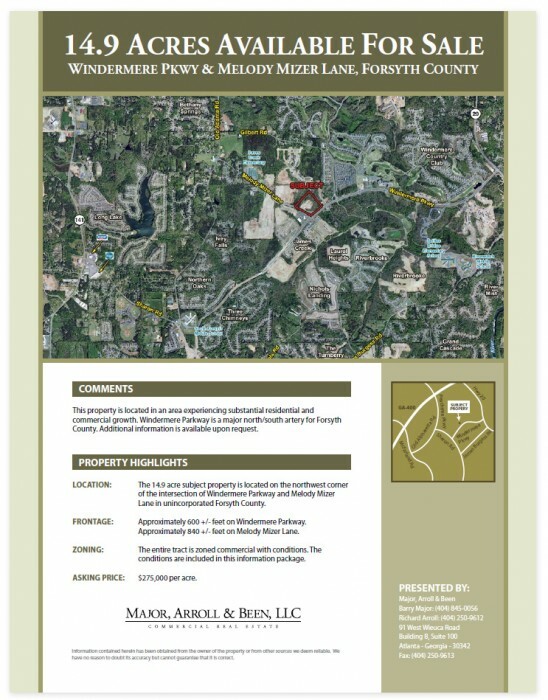 nuSpace Media used Major, Arroll & Been’s existing branding to design first a real estate flyer template and then a website to match the flyer design. 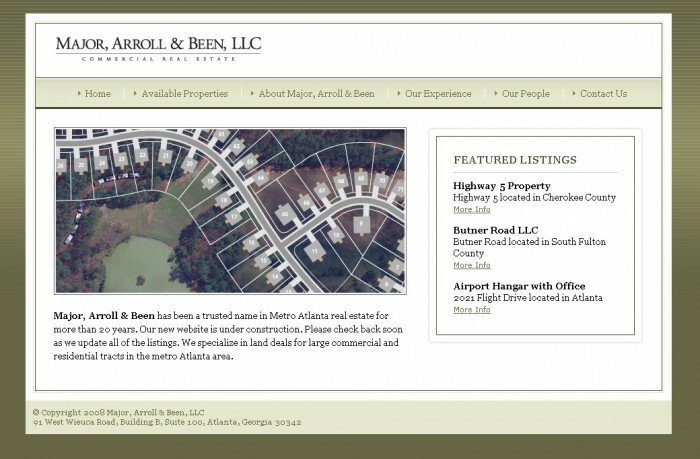 The website was developed using the Open Realty content management system and nuSpace Media is in charge of regular website maintenance.